“Assessing Progress in End-of-Life and Serious Illness Care” was a private working event for representatives from more than 90 multidisciplinary stakeholder organizations hosted by the National Academy of Medicine on May 23, 2016. 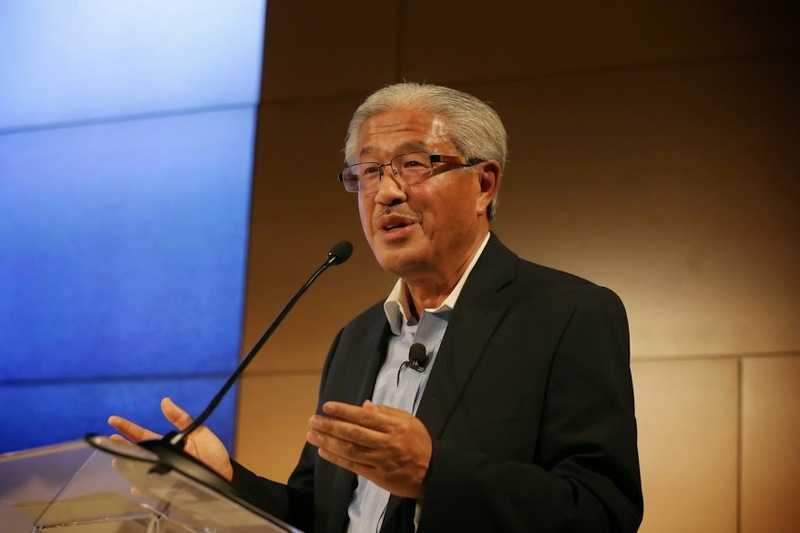 What follows is an edited transcript of closing remarks delivered by Victor Dzau. Thank you. It’s so important that all of you are here. It is clear that all of us really care about this issue. We’ve had an excellent day—one in which we’ve been very honest and learned a lot from each other. If you ever feel depressed about the state of the field, just remember how your patients have benefited from your work. Maybe we haven’t entirely changed the system, but many patients have benefited because of the good work that you do. Don’t you forget that. Of course we would like to see major improvement at the population level. We are looking for large changes that really move the needle. But as a physician, I know that when you have just one patient or one family who benefits from your care, you’ve done something great. Indeed, as has been pointed out today, we have a long way to go. I perceive a sense of impatience from you. And that’s a good thing. We all recognize that we need to see more progress. The population is getting older and we need to see some real changes for the better. Let me point out that where we are today in end-of-life care is reflective of where the U.S. health system is as a whole—fragmented and fractured. And although our work is just a slice of that system, we have an opportunity to make a difference and to use our progress as a model for the rest of the health care system. For example, the Dying in America report’s recommendation to integrate medical and social services, if it can be accomplished, has important ramifications for the entire continuum of care–well beyond the end of life. I am encouraged by our past success. We have been able to change care for the better. Since To Err Is Human was released in 1999, we’ve made a lot of progress in quality and safety that has transformed health care. The lesson we have learned is the importance of culture, leadership, communication, openness, transparency. The same principle applies to end-of-life care. We will need to work together. There is no single entity that has all the answers. The people in this room can bring their knowledge, experience, and vision together for a shared vision. We need to help each other develop and scale new approaches. There are so many excellent initiatives out there. When I see a great approach, I often wonder, why isn’t the rest of the county using this? The key is, when there’s a good model with good outcomes, we need to put resources behind it and scale it. This group needs to think about how to scale, how to replicate, how to create resources, how to communicate, how to empower, and how to prioritize. We need to have a few big wins. I thank Sharyl Nass, Leonard Schaeffer, and James Tulsky for taking on the important work of the new Roundtable on Quality Care for People with Serious Illness at the Academies. What the Academies do best is to gather experts like you, bring you together to ask tough questions, gather evidence and make recommendations. When I first came here as president of the National Academy of Medicine, I was reminded that our role is to advise, not implement nor advocate. However, we must spread the word on our work–we disseminate. What you see in today’s meeting is an excellent example of what we should do. We are committed to dissemination. But we need your help. The Roundtable will provide a forum for continuing the momentum and keep the fire burning. We look forward to working with you to advance in this area. There’s no question in my mind that we can do it. I’m optimistic. I’m very optimistic. I really think your progress has given everyone a sense of optimism. Together, we can do it. We will succeed!